This Aftershave cream is nurturing and gentle to the skin. The cream is nourishing, moisturizing and is easily absorbed without an unpleasant oily shine. This Aftershave Cream works wonders on men’s dry skin. Men are often not very pleased by the thought of using creams after shaving, as creams and aftershaves do not seem to have much in common. 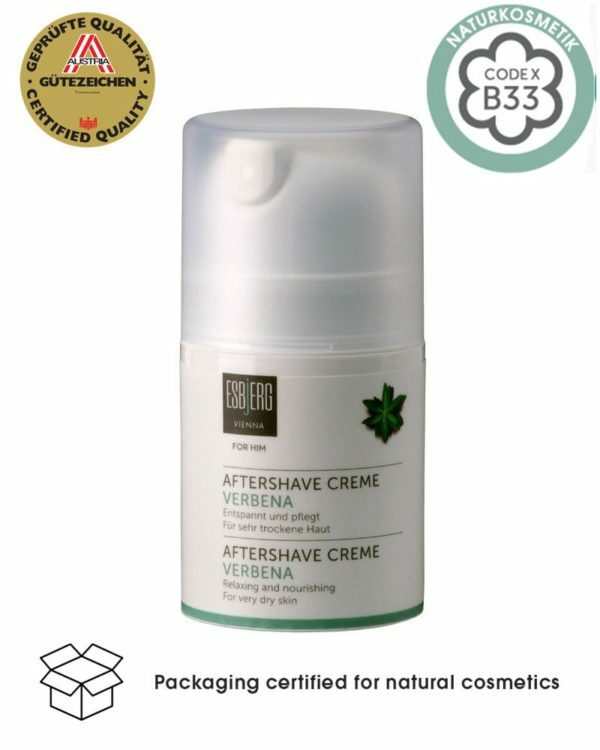 However, Esbjergs’ Aftershave cream gently soothes the skin and is thus especially suitable for dry skin. 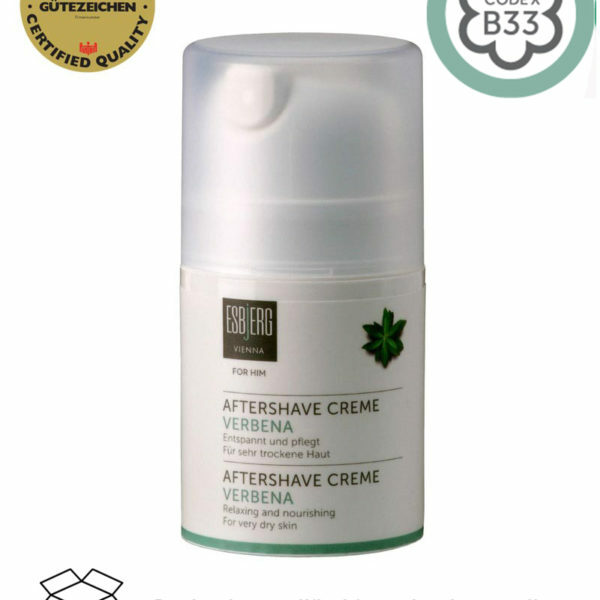 Verbena, also known as gromwell, gives the aftershavecream its fresh scent of citrus. Verbena is anti-inflammatory. Already in ancient Egypt it has been used for the healing of wounds. You don’t necessarily need to shave first, before you use the Aftershave. The cream can be applied to a dry face in the morning or evening. Aloe Vera accelerates cell renewal, strengthens the skin’s own protective barrier, reduces irritations, moisturizes and contains cooling and astringent properties. Apply the aftershave after shaving or just use it for your daily face and neck care.